Happy Martin Luther King, Jr. Day. The first time I became interested in Martin Luther King was the first year I noticed I occasionally got my birthday off from school because of him. Now I'm an adult and I still haven't read a biography of him yet. However, on Martin Luther King Day there is a compassion in my heart for a great leader. 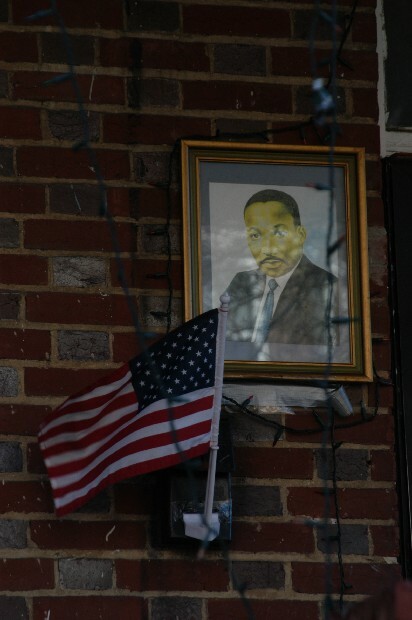 I imagine the household on my block that keeps a picture of Dr. King on their porch year-round also feel some compassion for him. The Catholic Church should make him a saint. Took a ride to the mall. 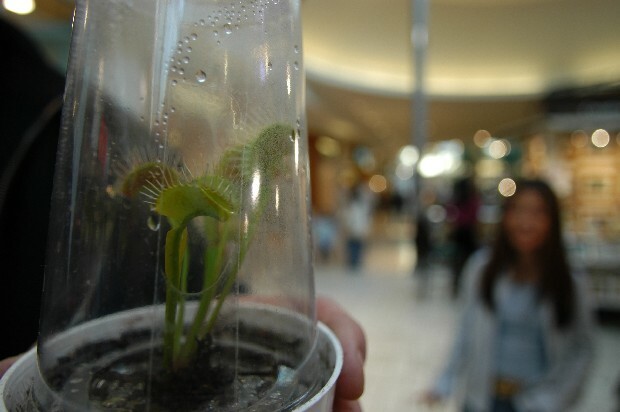 My friend Andrew bought a venus fly trap. The girl at the plant shop said if the plant doesn't catch enough flies you can feed it pieces of beef or chicken every couple weeks.